Braunschweig and Hertha maintained their march towards the top flight last week with hard fought victories over Regensburg and Aalen respectively. The gap from Hertha to third place Kaiserslautern is now 10 points, after the Red Devils failed to beat Duisburg last Sunday. Bochum pulled off a great result away at 1860 Munchen, after spending much of the match with only 10 men, following the sending off of Eyjolfsson on 17 minutes. Dynamo Dresden chalked up an important victory, winning 3-1 at home to Sandhausen in a relegation scrap and FC Koln made it 10 games unbeaten with a 1-0 victory away to struggling St.Pauli. On to Matchday 23, my pick of the ties is Hertha at home to Kaiserslautern and having attended this match last year (as a top flight clash where Hertha lost 2-1), I’m keen for ‘Die Alte Dame’ to gain revenge and increase the points gap between the teams. Braunschweig v 1860 Munchen is also another interesting tie and probably the pick of the other games. Aalen have played both Braunschweig and Hertha over the last two weeks and have been more than a match for both these teams, despite only coming away with a point. Aue on the other hand have lost the last three in the league, so surely Aalen are the value, especially with my frequently used (DNB) market at 23/20. The away side’s goals have been spread throughout the team, but their striker lynchpin is Robert Lechleiter, who’s hoping to improve on his tally of 5 so far this season. Cottbus are on a terrible run of form, having not won in 7 matches, and neither scoring at all in the last four. However, they are a solid outfit at home, but to prevail over the 90 minutes is a restricting 4/6. Regensburg are struggling at the foot of the table and we’re hoping that Cottbus can turn in a much improved performance with a solid defence as this could re-ignite their season and improve confidence. This market was a winning bet for us a fortnight ago and we plan to use this again, benefitting from Paderborn’s strong away form. I wouldn’t put people off Paderborn in 90 minutes at 6/4, although Sandhausen’s home form and their recent demolition of St.Pauli, needs to be taken into account. Paderborn have scored first in eight of their eleven away games and have won their last two 2BL games against Ingolstadt and Aue. We’ll hope that this improved run continues and they can strike first against the relegation-threatened home outfit. As always, below are a variety of different markets where I’ve given a selection in all 9 games for your enjoyment at prices of Evens or above. Good luck with any bets you place! Fancy having a punt on the Bundesliga this Saturday? Terry would like you to consider the following before throwing away your money. Bayern’s victory over Schalke suggests a return to form after some poor performances. However, Schalke have not played well against the top teams this season so this fixture will be a better indicator as to Bayern’s situation. Robin Dutt’s Leverkusen go into this fixture in good spirits after two wins and a sense that things are beginning to settle down. If they relax and allow themselves to play their best game, a home win is a definite possibility. Expect lots of diagonal balls to the corners as HSV try to win set pieces and test Stuttgart’s rickety defense. The Hamburg club are capable of some comedy defending, themselves which is why both they and their opponents aren’t higher up the table. While I wouldn’t be confident in predicting a result, a goal in the first fifteen minutes might prove an interesting wager. If FCA can get a result at Hannover then they’re definitely good enough to stay in this division. The home side’s long unbeaten run was interrupted by Borussia Dortmund, last week, so they will be keen to make amends. A note of caution to those thinking of backing the home team, Mirko Slomka’s team are still embroiled in a Europa League campaign to which they are unfamiliar. This may make them heavy legged, especially after being worked over by Dortmund, last week. The odds on an away win should be very narrow. Freiburg are improving but Schalke have made a virtue of beating the Bundesliga’s poorer teams this season. After last week’s defeat at Bayern, Huub Stevens will be looking for a response. Having said that Freiburg have had some encouraging performances, particularly that 0-0 draw with Bayern so a positive result for SCF is not out of the question. 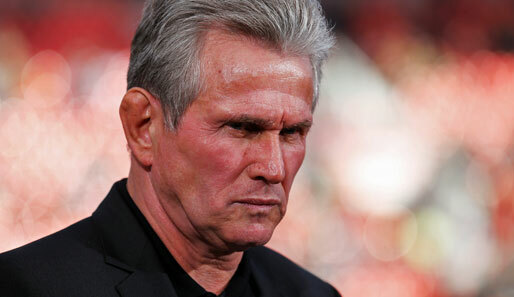 Can 'The Don' of Gelsenkirchen get a result against Freiburg? Wolfsburg are dreadful on the road, ‘Lautern are just dreadful. Hopefully this won’t be one of those games where both teams lack the confidence to be adventurous and it descends into a tedious midfield scrap. I’d maintain low expectations of entertainment. That way you’ll be surprised if it’s a half decent game. No excuses for King Otto now. If new Hertha coach, Otto Rehhagel does not produce a positive performance, at the very least, against Werder then the term “crisis club” will take on a new meaning. The Bremen club can be accommodating but if you go by the form book the sensible bet would be on the green of Werder. Thomas Tuchel takes his Mainz team to meet their former coach, Jürgen Klopp whose mighty Borussia Dortmund team sit atop the Bundesliga. Home win then? Well maybe but consider Mainz’ steady improvement and improving position in the table. Not to mention the return of Mohammed Zidan who left Dortmund for Mainz in January and hasn’t stopped scoring since.